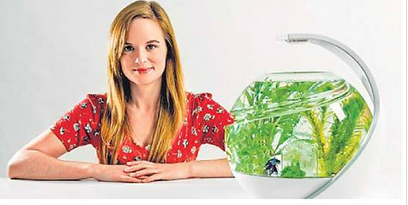 Susan Shelley, a British student of Loughborough University, has invented a self-cleaning fish tank and named it ‘AVO.’ It is unique in its functions so that one does not need to clean or change the aquarium water, and no regular feed is needed to keep it in safe operational mode. Susan has made the tank eco-friendly as well as the fish lover friendly. The increased numbers of fish will not bother the owner to arrange extra food. The internet users have liked the new invention. Most of the comments maintain that her efforts are praiseworthy, and the big companies should learn and take a lesson for the example set. She knew that maintaining a fish tank was / is not an easy task. After going through the problems of maintenance, she thought of doing something to solve this perennial difficulty. 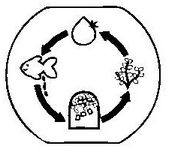 1) The uneaten food and water used for fish swimming get turned to ammonia. 2) This ammonia is converted to Nitrates through the self-maintaining active bacterial action; that ensures that no trace gas gets left behind. 3) The nitrates are plant food that consume them making the fish tank’s water pure. The Owner has to fill in the tank with water and food rarely. A LED lamp used on the top of the tank helps in accelerating the plant growth. These plants help in maintaining the water purity level. The innovative work of cleaning and maintenance goes on forever, and lots of smiles will make fish lovers happier.The project has gone through the experimental stages and about to get launched soon through its promotional sales.